Poems in public places can surprise us, distract us, make a tube ride less dull… this poem makes the world a nicer place to be – literally. 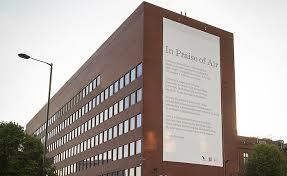 Simon Armitage’s poem celebrating the air we breathe is the world’s first catalytic poem. The result of a Sheffield University project and collaboration between the department of English and scientist Professor Tony Ryan, the poem is printed on a banner coated with a photocatalyst that eats pollution. Clever. Reading at Keats House it seemed only right to begin with ‘Newton Sees the Seventh Colour’, given that Keats accused Newton of destroying all the beauty of the rainbow by reducing it to a prism. ‘Philosophy will clip an Angel’s wings, / Conquer all mysteries by rule and line, / Empty the haunted air, and gnomed mine- / Unweave a rainbow… (from Lamia) Still much beauty in and around the house in Hampstead, including the garden where ‘Ode to a Nightingale’ was written. And a good Templar night had by all at the launch of Mark Fiddes’ surreal and witty iOTA shot pamphlet The Chelsea Flower Show Massacre. 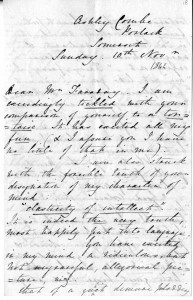 With this year’s celebration of women in science, technology, engineering and maths coming up on Tuesday 14th October I’ve just come across some hand-written letters from Ada to Michael Faraday on the wonderful findingada.com. Picture from findingada.com, where you can find out more about Ada. 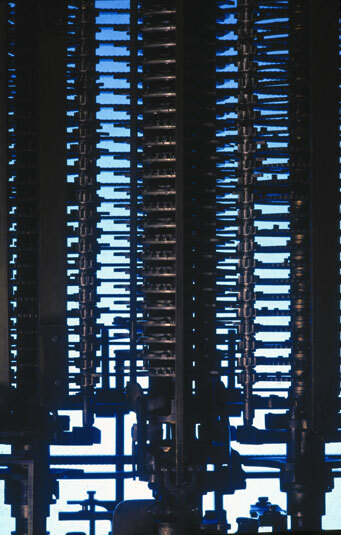 There’s something quite beautiful about this – the mechanism devised by Victorian inventor Charles Babbage for his envisioned calculating machine. 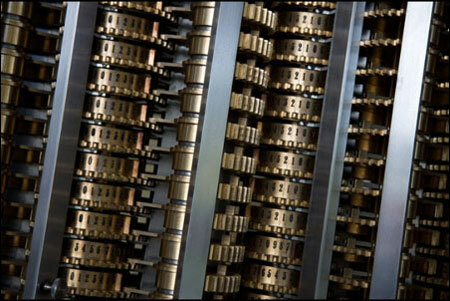 Babbage’s dream began with his plans for the Difference Engine, then progressed to the Analytical Engine – the ‘machine that can think’. This is a section of the Analytical Engine mill, an experimental model still under construction at the time of Babbage’s death and now part of the Science Museum’s collection. Like all good science, this has an elegance that makes it also a work of art. Find out more at http://www.sciencemuseum.org. Good to spend time talking about poetry and science with the lovely people at York St John University last week. I shared some of my experiences using science as inspiration with students on the undergrad programme, and – as always – picked up lots of new nuggets of information. Such as brain-computer interface technology, which aims to use electrical impulses to mimic central nervous system connections & restore movement following paralysis. (I’m intrigued, and want to know more.) 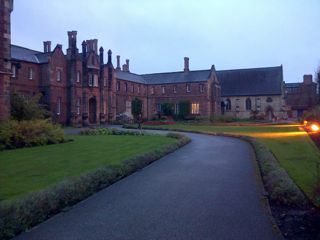 As well as an attractive campus, as the photo shows, with views of the Minster, YSJ has a popular and growing creative writing programme. Find out more on the programme’s blog. Thanks to Abi Curtis & JT Welsch for making me so welcome. Have just completed a series of Live Lit sessions with the inspiring Mark Hewitt. It’s returned me, with lots of bright new ideas, to my work on Charles Babbage – the 19th century scientist behind the world’s first mechanised calculating machine, forerunner to the computer, which was never actually built in his lifetime but now has pride of place in the Science Museum’s Computing display. It’s another of those instances of a moment in time from the past shaping our lives today – in so many ways. 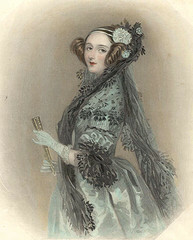 And at the heart of the story are two fascinating women, Georgiana Babbage and Ada Lovelace. Two very different characters who have a hand in the creation of this amazing piece of mechanical history. Now, there’s a story to be told… watch this space.